Dennis Teutschel - Central Milling Company family of pancake mixes. Designed and branded packaging for a new family of pancake mixes by Central Milling Company. Three types of pancake mixes eventually came to market. Packages are seen in Whole Foods, high-end grocery marketplaces. A wholesale bulk package version is sold through Costco. 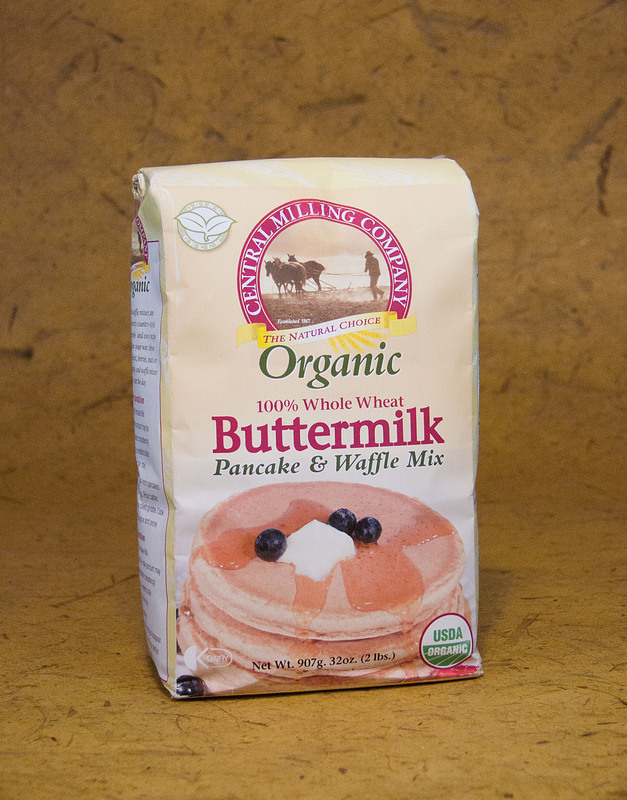 Central Milling of Utah and Idaho announced their new line of organic pancake mixes by featuring them in Whole Foods stores throughout the west. All design, production, bag manufacturer specification, coordination with Whole Foods, USDA regulations, nutritional specification, product shots, buyer specification sheets.